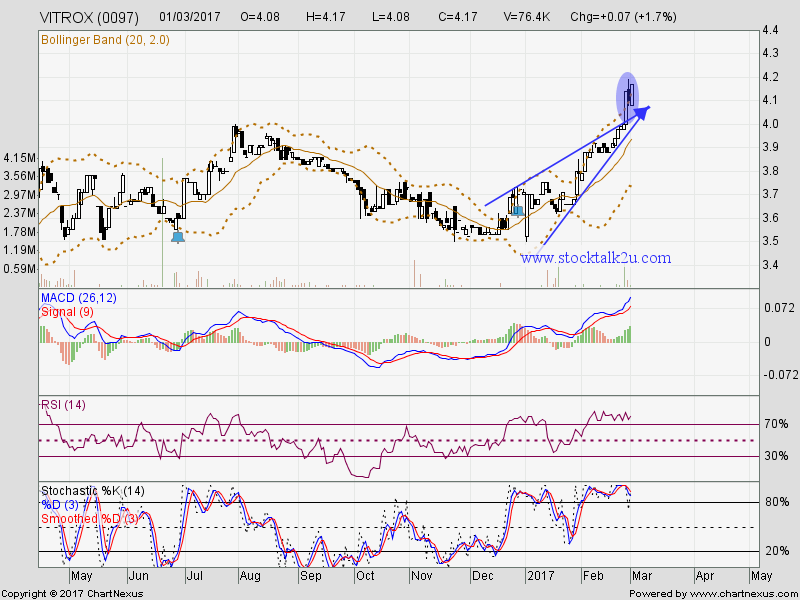 VITROX succeed breakout triangle resistance. Stochastic %K trigger BUY call again. 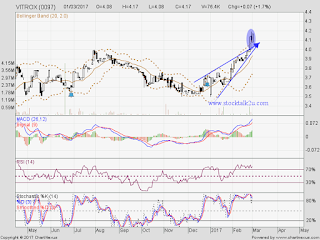 Immediate support @ RM4.00 level. Subsequent support @ RM3.95 level. Higher high is confirmed, uptrend will resume. Due to overbought stage, potential pull back retest support or sideway consolidate soon.